The many independent restaurants, coffee shops, and bars offering gourmet and varied styles of cuisine earned Chapel Hill the title of "America's Foodiest Small Town" from Bon Appétit Magazine. 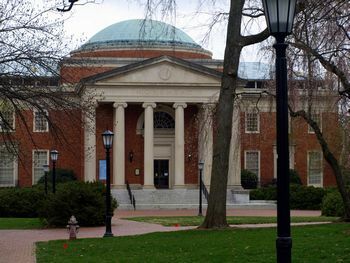 Home to the University of North Carolina (UNC) and its on-campus planetarium where astronauts learned to navigate the skies, Chapel Hill is a bustling town. Chapel Hill and nearby Carrboro offer visitors plenty of options to enjoy history, food, sports, and music. Some notable beginnings: famed basketball star, Michael Jordan played college ball at UNC, musician James Taylor got his start in Chapel Hill, and NASA astronauts mapped routes to the moon at Morehead Planetarium before blasting off into outer space. Other places of interest in Chapel Hill include the UNC Medical Center, Meadowmont Village and Southern Village - with trendy shops and urban green space, the famed Franklin Street, lined with businesses and the UNC campus, and the North Carolina Botanical Garden. On the first Saturday of each month, Carrboro hosts the Really Really Free Market on the Town Commons where people go to give tangible goods and services away for free. Really.